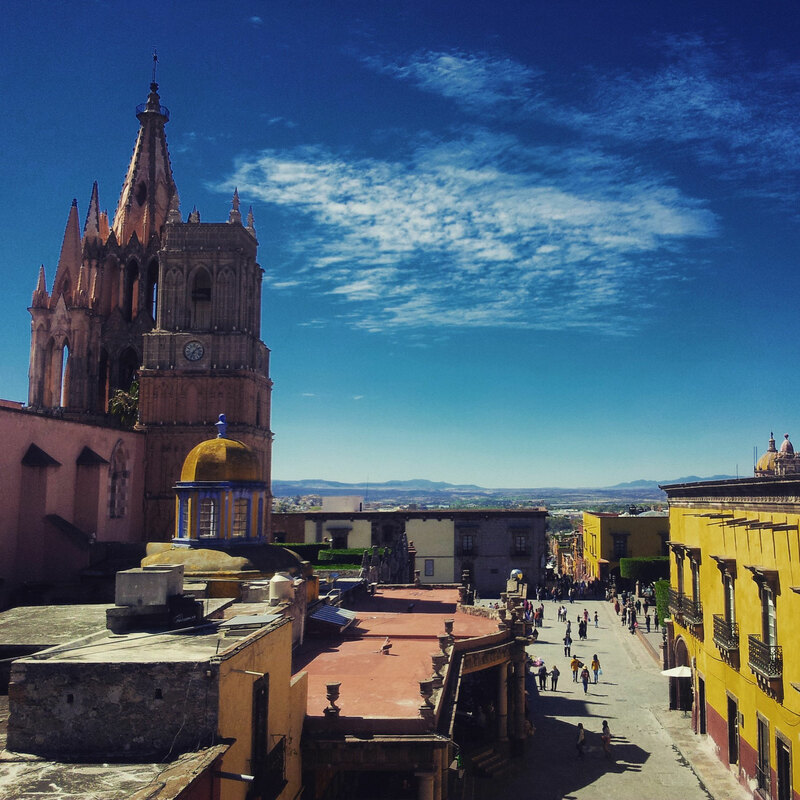 After 2 weeks of great grounding in Oaxaca I traveled to San Miguel de Allende because my American friend from Porto Escondido told me he would do a Spanish class there. Also the family where lived would be great. So I decided to go there as well. 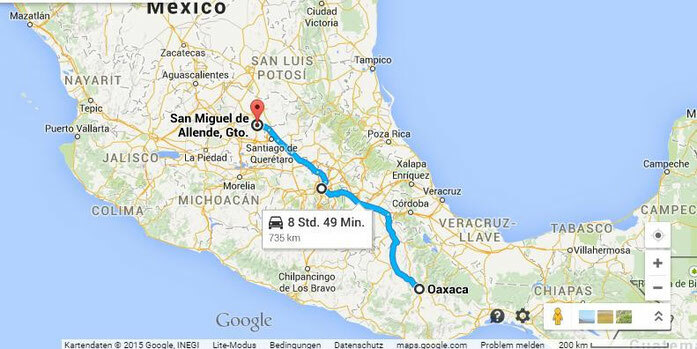 Moreover it was close to Mexico City from where I took my flight to Guatemala City few days later. My time in Mexico City was interesting… There I lost my debit card which brought me for a moment out of balance and showed me what I really feared. I was at those places from 6th to the 18th of February. The reason for my deep sleep was the following: I sat on the roof top at my hostel Azul Cielo when a guy from Austria joined me and offered me to take a smoke from his joint. It was quite a long time ago that I smoked it and I thought it might could help me to sleep well in the bus. Well… It was a bad idea. It was very strong stuff and knocked me out. The 30 minutes waiting for my bus felt like 2 hours... When I ate a Tjalyuda in the street, I thought everyone would know I was stoned. On the whole it was quite stressful and I was very paranoid. I was happy when I sat in the bus where I immediately felt into a deep sleep before the journey started. 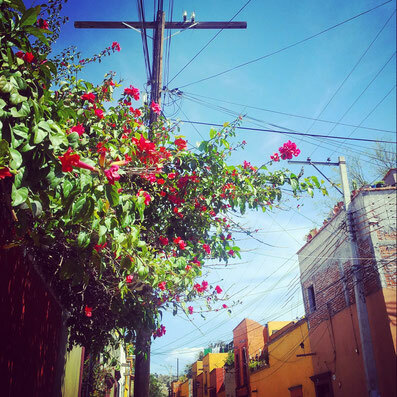 The first nights in San Miguel de Allende I spent in a hostel before I went to my host family where my American friend stayed. 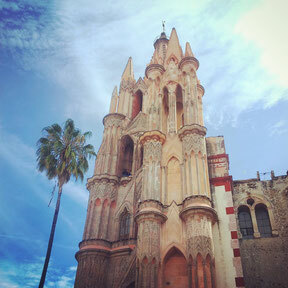 My first impression about San Miguel de Allende was it had a very relaxed atmosphere. My second impression was that there were lots of elder American people. It was a paradise for retirees. Two month later someone in San Cristobal de las Casa said to me: “In Guanajuato the mummies lay and in San Miguel de Allende they are walking…” Guanajuato is famous for its mummies. I was actually there with my American friend for one day. 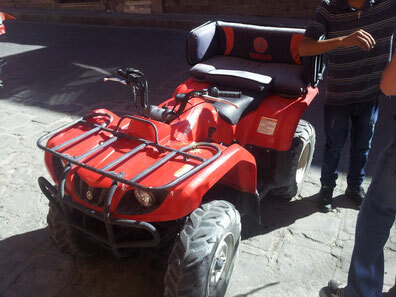 A couple of days later I caught up with my American friend and we rented a quad and discovered San Miguel de Allende. It was great fun and he drove very fast through the streets. Well, the soldier came through ;-). For him it was a good way to explore because San Miguel has lots of hills. He lost half of his left leg in Iraq when a bomb hit his vehicle. Since then he uses prosthesis. He can do almost everything with it. For example one of my Yoga classes. But a long and steep walk is after a while very tough for his skin where the prosthesis is connected with. It gets wound. On the whole we had a very funny and cool time together. We were like little school kids and were even in the same Spanish class. But honestly I did not learn that much due to there were lots of American people who spoke during the break just English and very often in the class as well. My American friend liked to eat in restaurants. I love to eat in the street. For me it is more authentic. I did it in every city where I stayed in Mexico and never had problems with my stomach. That was what I said to my friend as well. We went to one vendor in San Miguel and ate tacos de cabeza. On the third day I decided to see a doctor because there was no progress in sight. I could barely follow my Spanish class. My appointment with the doctor was very quick: I told my symptoms and the doctor gave me a prescription for Antibiotics, Electrolyte drinks and pain killers. The Antibiotics worked immediately and I felt like a hyperactive squirrel. At least I was getting better and would probably in the next 10 years be protected against every bacterium. Never again tacos de cabeza! After San Miguel de Allende I said goodbye to my American friend and to the family. 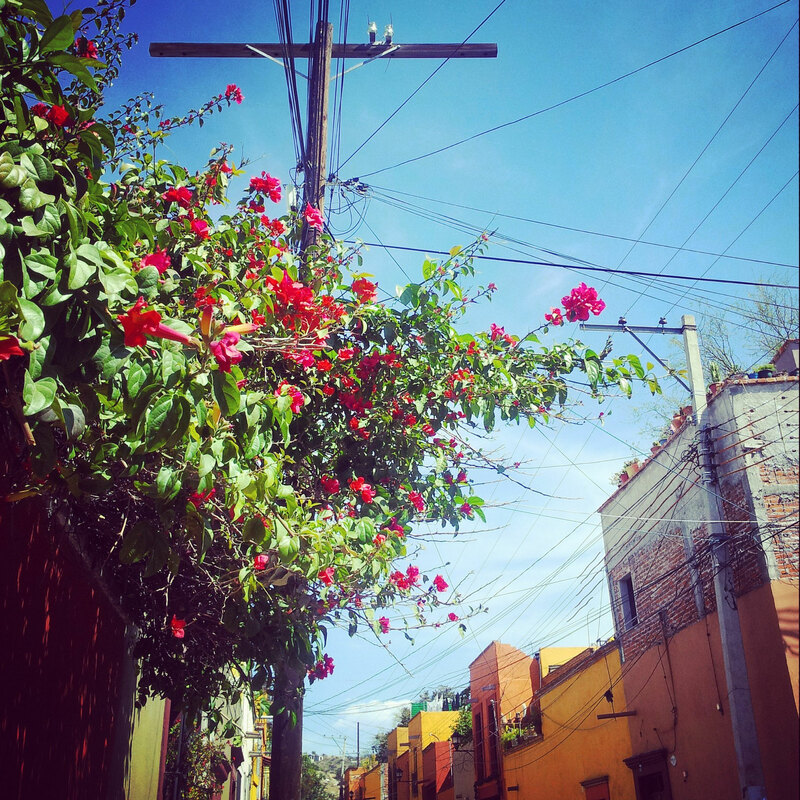 I took a bus from San Miguel de Allende to Mexico City and went into a hostel close to the city center. I stayed for 4 days. Honestly, I was a bit nervous to go there do to the stories I heard from Mexican friends and also from my brother Mitch. They told me I should be very careful and watch out my stuff. I turned out the city was safer during the night then during the day. During the day the streets were full of people and it was easier for pocket pickers. During the night there were lots of police patrols. 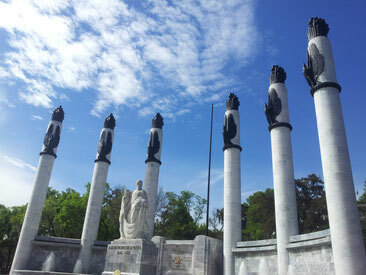 I asked a friend of mine from Baja California for “places of interest” in Mexcio City. Also a nice waiter and musician who my American friend and I met in San Miguel de Allende gave me some advice. 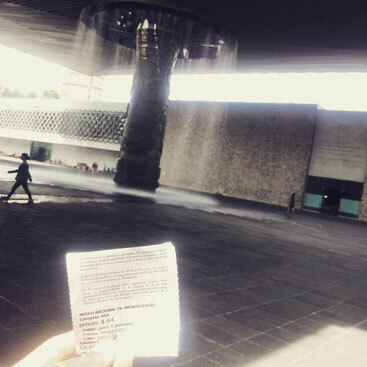 Both recommended to me El Museo Antropologia. So I went there and it was very impressive! There I spent around 4 hours and learnt a lot about the different Indigenous in Mexico (life style, traditions etc.). For example that the symbols on their costumes are unique and have special meanings. My lovely Spanish teacher Francis in Guatemala told me later more about. 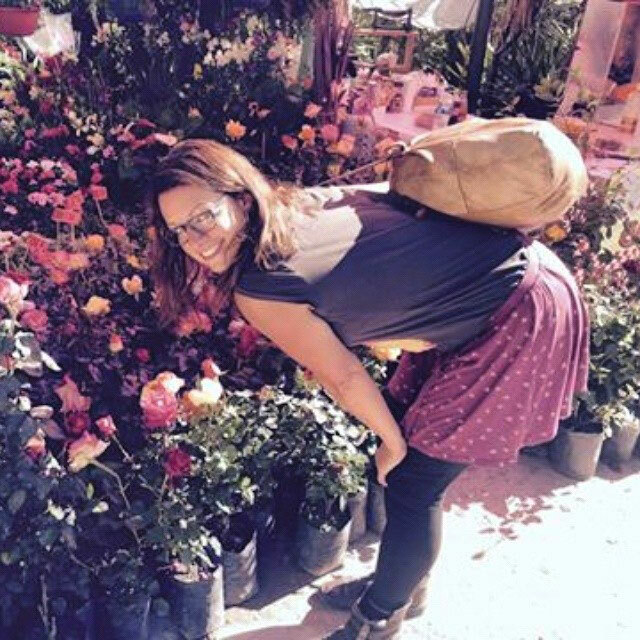 I was looking for a market where I could buy some fresh fruits and vegetables when someone asked me if he could help me. Si! It was a young and friendly Mexican guy. I could practice the mini Espanol I just have learnt. He also spoke a bit English. He showed me the market. Due to he knew many people there, they offered me a lot of stuff to try. For example a rose with sweet yogurt and different exotic fruits. He told me that lots of chefs would buy there ingredients here. After the market he went with me to a café where some of his friends waited. 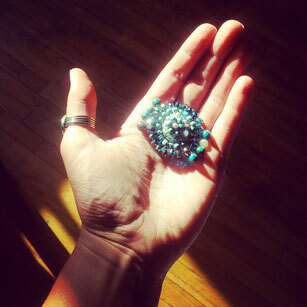 I had a coffee and left later to my hostel and started to make another jewelry piece like I learnt in Oaxaca. It is like meditation for me. I sent a message to my Mexican market guide to say thank you and maybe we could have another coffee because he was very kind and I knew he had a girlfriend. On the next day I saw he wrote me again some more massages. I did not want to be rude and said I would be very busy and had no time for a coffee. It was not even a lie. It was my last day before I would take the flight to Guatemala city. So I checked out some shops in Mexico City and visited some place my friends recommended to me. And when I was on my way back to my hostel,,. guess what happened! He asked me again when I was free today and I said again I would be very busy. When I was in my hostel I just relaxed a bit and finished my jewelry piece. In the evening I checked my money and I saw my debit card was not there anymore! I checked everything but I could not find it. The last time when I had it was the day before at the ATM. I guessed I lost it because everything else was still there. I was paralyzed. I started to cry: "how should I manage my online banking? what if someone bought things with my card...?" Suddenly, I realized what was really going on with me. The lost of my debit card was just annoying but nothing else. I had other cards to get money and I did in Germany before I left some preparations for cases like this. The real reason was I had fear. I feared to go back to Europe, back to Spain. What should I do there? What if I do not find work and need to go back to Germany? Would not that like losing? And I need to get started with my seminars and be successful or…? I talked a lot about that so I need to get started. First of all, this pressure just comes from myself. There is no pressure in reality. Secoundly, it was quite selfish and narrow-minded. I met very smart and hard working people in Mexico and they do not have the chance or opportunity to do what I do (travelling, volunteering, studying what they want). Actually it was my Mexican market guide friend who helped me and was there for me. When I calmed myself down I ask him to meet for a beer. I thought everything happens for a reason and he was so ambitious to catch up with me again that I just gave up. He was really very nice and helped me a lot emotional and brought me to his apartment where he lived with his mum and cousin. They offered me to use their phone so that I could block my debit card. His family belonged to the middle class but it was very different from the definition of the middle class in Germany. He gave a lot to help me and consisted to accompany me to the airport on the next day. By the way: the piece I did I gave to my Mexican friend as gift for his help. I also met very nice people like a German guy from Kleve with whom I had tons of laughter. Thank you for reading my story! Muchos besos. 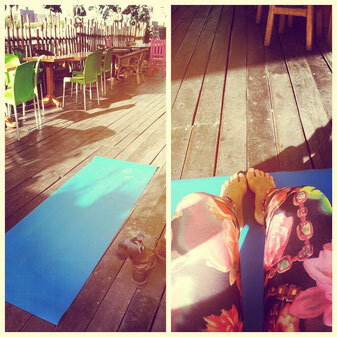 Relaxing Yoga on the roof top on my hostel in Mexico City.